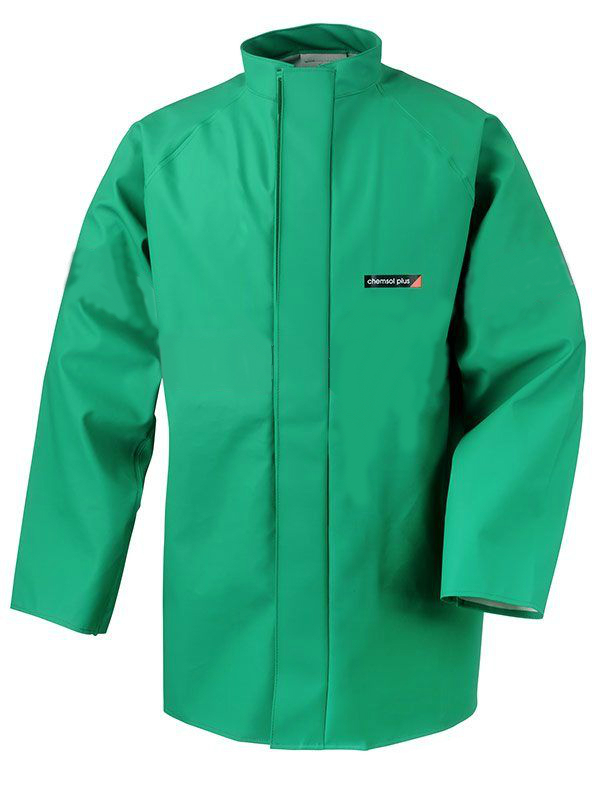 Re-usable high tear and abrasion resistant Green PVC Jacket. Zip front double storm flap Velcro closure to top of collar. Soft and lightweight, elastomised PVC coated polyester fabric. High collar Chemsol Plus Jacket. All seams sewn and high frequency welded for maximum protection. 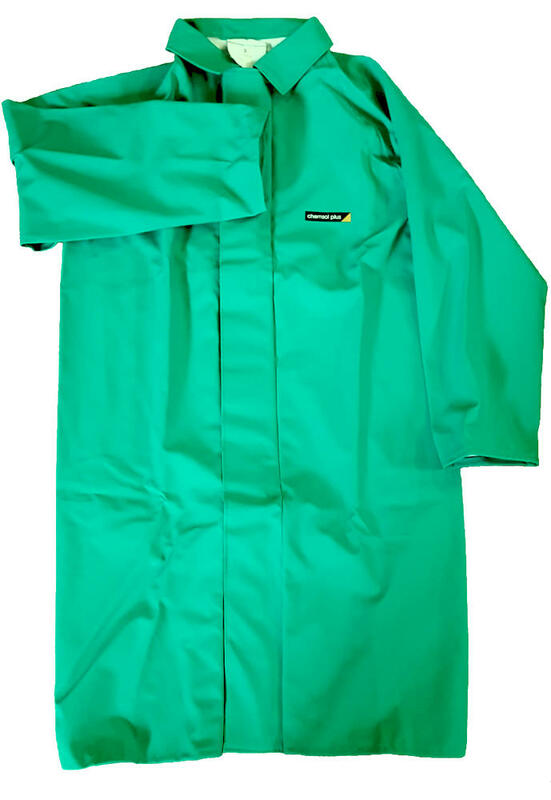 Chemsol Plus garments are manufactured from a softer, more tactile EPVC \ Polyester fabric with additional Anti-static and Flame Retardant properties. Recommended for many higher risk applications: Chemical site handling, Oil and Gas. 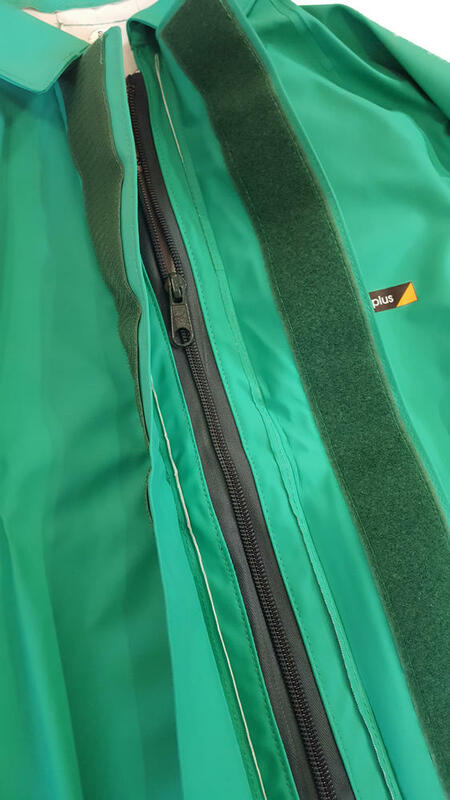 Alpha Solway Chemsol Plus SP6804 Jacket conforms to: BS EN 465:1995 Type 4; BS 466-1:1995 Type 3; EN 1149-1:1996; BS EN 533 Index 1 standards.